Hey, your little dude's busy! We get it. Finding the perfect Halloween costume usually doesn't occupy most boys' to-do lists until mere days before the party, dance, or All Hallow's Eve itself. It's hard to expect anything else, what with all the pressing matters on the minds of the new generation of boys: Halo, Call of Duty, Minecraft, water-bottle flipping. Those are just a few that come to mind, but yeah, we get it. Luckily, we have just the solution. Just look at these bones! 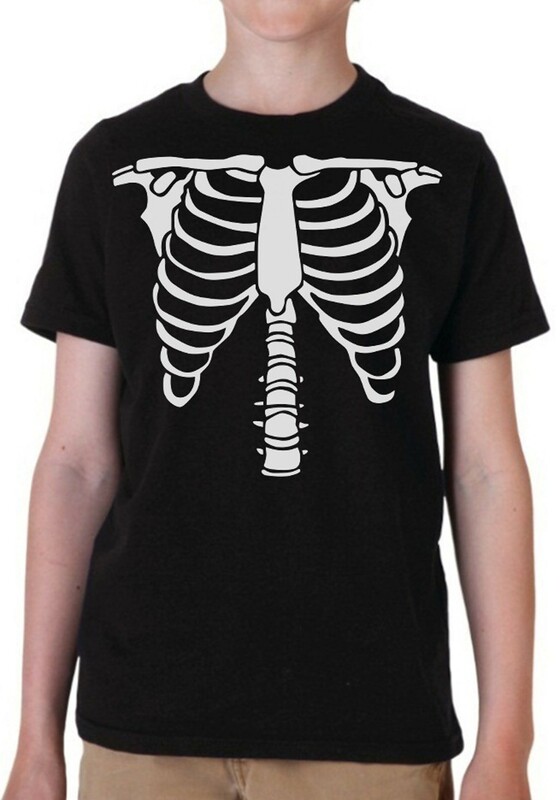 If your boy would like to be a truly simple skeleton, outfit him with this tee. It's perfect with a skull mask and accessories to make an easy costume after weeks of expecting one to pop out of thin air. And then, after he's done spooking everyone with his macabre ways, it can go right in his drawer. Because he's going to want to wear it every day! And probably again next year, the day before.